You are currently browsing the SafeSourcing Blog blog archives for June, 2014. So just what is a Category Manager? The job postings have been in the Financial Services and the Pet Food retail area. Now, someone might point out that pet food is a category by itself within a number of retail verticals. With that said, it is also a category within a category killer format. The good news is that many companies are getting to the point that they understand the benefit of having categories managed strategically. This takes into account the mix of the category within the scope of its contribution to the entire company from a financial, strategic and tactical perspective. It also requires specific business acumen that combines the jobs of the historical buyer, subject matter expert, marketing professional and financial business analyst. The position originated in retail but continues to evolve into many businesses with certification and education programs to support the skill sets required. According to Wikipedia, Category management is a retailing and purchasing concept in which the range of products purchased by a business organization or sold by a retailer is broken down into discrete groups of similar or related products; these groups are known as product categories (examples of grocery categories might be: tinned fish, washing detergent, toothpastes). It is a systematic, disciplined approach to managing a product category as a strategic business unit. The question is, are your buyers acting as category managers, do they have the skill set to do so and if not, how efficient is your procurement department. If you lack any of these skills on your team, please contact a SafeSourcing customer services account manager to see how we can help elevate the performance of your procurement team. If this were a real poker game, I’d raise our big supplier data versus your existing supplier data. Locating, managing and updating supplier information that companies choose to do business with has never been more difficult. How many companies that you used to do business with 4-5 years ago are no longer in business? How many new companies have taken their place? I already know the answer you are going to give me. It’s I don’t know. We keep hearing about big data. With new regulatory requirements emerging daily, economies failing, the supply chain shrinking in some places and expanding in others, changing safety factors and environmental factors ( think LEEDS), detailed supplier information and traceability are but a few of the issues that require regular maintenance in order to mitigate a company’s risk. Solution Providers like SafeSourcing that provide supplier databases (SafeSourceIt™) that are part of automating the procurement process, need to step up and make sure that their data support these changes on a regular basis to the greatest extent possible by providing tools that interacts with both regulatory agencies and suppliers to insure consumer safety and environmental impact as more new sources of supply and new products enter the supply chain on a daily basis. 1. Monitor daily alert data as to product recalls and safety warnings. 2. Trace warnings back to the original source of supply automatically and maintain history. 3. Require that suppliers meet certain safety certifications in order to participate in their database. 5. Provide a regular purge of suppliers that do not comply with necessary standards. 7. Adhere to a strict RFI process for new suppliers requesting participation in their database. 8. Provide a rating system for suppliers that are offered to companies as new sources of supply. 9. Monitor regulatory agencies such as ISO for new standards and include them as further requirements in supplier databases. 10.Conduct on going category research for evolving sources of supply. 11.Compare your best customers GL to your database for additions deletions. Ask your solution provider what their process is to grow manage and maintain their supplier database for your benefit. If you’d like more information on the SafeSourceIt™ Supplier Database of over 427,000 cleansed global sources of supply, please contact a SafeSourcing customer services account manager. Dale Carnegie advised us in 1934 that we should be ?Hearty in our approbation, and lavish in our praise?. And we are, of the people who save the baby from the burning building, divert tragedy, or run ultra-marathons. These individuals do deserve our admiration to an extent, but we need to be careful not to overemphasize the more visible accomplishments to the extent that we de-incentivize the small wins. If management is pushing productivity through an organization, leadership is pulling from in front. But leadership doesn?t have to be 1 man or woman pulling an entire organization up the mountain. It takes a chain of linked individuals, each pulling everyone forward in great and small things to create success across an organization. However, the culture of the optimal organization is not to point to the top rungs and say ?be THAT guy?, because we don?t need 2 CEO?s, we need people who take ownership and create value in every position of the company. But how many times have we had people go above and beyond in the small things that had a profound impact on our personal or professional life and never given them the praise they deserved? Or worse, how has it effected you when someone only gives marginal or poor effort, because the tasks they?re working on aren?t praised in their organization no matter how well they are done? When we make leadership into something bigger than ourselves, we give ourselves an excuse to not take responsibility for the profound ways our actions affect other people. We all have had experiences where someone?s ?small? act has had a profound impact in our lives, for good or bad. Don?t forget to praise their investment in you or your organization, or learn from their mistakes. For more information on how SafeSourcing can assist your team in being a savings hero for your ortanization, or on our ?Risk Free? trial program, please contact a SafeSourcing Customer Service Representative.? We have an entire customer services team waiting to assist you today. Last year I wrote a blog about Father’s Day and this year it means all the more to me so I have decided to refresh and repost it again this year. I have enjoyed another year of my Father’s sage advice and wisecrack jokes and have graduated from normal Skype to video Skype which has been even better than I could have imagined. As I reflect on this day it makes me think of all the advice that fathers, mine and millions of others, have given their children over the years and how simple the ideas are and yet at the same time how powerfully applicable to the business world we all live in every day. In today’s blog I want to go back to some of that advice and see how much value still stands in concepts that are so simple. If you keep doing the wrong things it WILL catch up with you – So many procurement departments have begun and are being run based on practices and principles that are not only not sound but are potentially damaging to the company. Having weak supervisory controls for buyers, no or poor management of the company’s contracts, and not researching the background of your suppliers are all things that can leave an organization vulnerable. Like living without auto, home or medical insurance, in time it will catch up with you even if it has been years since anything bad came as a result. Treat people as you expect to be treated – The procurement space can be brutal. Suppliers are trying to deliver value and make money; customers are trying to get as much value as possible while controlling costs. These two things can often create clashes and tension as both sides work to get the things they want out of a business relationship. The key that comes here is to remember that the same suppliers you are beating up on price will be the same ones you are asking for rush service and special assistance on down the road. Creating partnerships with the best value and cost is the goal. Everyone is a supplier and everyone is a customer at some level and applying this simple advice can help forge the greatest value for your company. Plan your work; work your plan – I have heard this advice over the years from many people I have admired and respected. It is simple and encompasses everything that best sourcing projects need in two pieces. 1. Plan the work (create the project); this involves research and a knowledge of what you are going after that goes beyond a 15 minute Google search. It means researching the market, indexes, new technologies and trends, new suppliers and new government regulations that may affect your goals. Knowing your category allows you to plan the work with measureable milestones teams can follow and be a part of. 2. Work the Plan you have created with little exception. Once you have created the plan for the project, stick to the timelines and employ leverage where you need it to keep projects moving. Everyone is always going to be overloaded with work, so if you are not the one working your plan every day you will be replaced in our people’s priorities by someone else who is. Don’t spit in the wind and don’t take any wooden nickels – I will be honest, I still have no frame of reference by which to link these sage pieces of advice back to the world of procurement, but they both still seem like really, really good ideas. We, at SafeSourcing, hope your Father’s Day was full of great memories and happy times! We enjoy bringing this blog to you every week and hope you find value in it. For more information on how we can help you with your procurement needs or on our “Risk Free” trial program, please contact a SafeSourcing Customer Service Representative. We have an entire customer services team waiting to assist you today. Last year I wrote a blog about Father?s Day and this year it means all the more to me so I have decided to refresh and repost it again this year.? I have enjoyed another year of my Father?s sage advice and wisecrack jokes and have graduated from normal Skype to video Skype which has been even better than I could have imagined.? As I reflect on this day it makes me think of all the advice that fathers, mine and millions of others, have given their children over the years and how simple the ideas are and yet at the same time how powerfully applicable to the business world we all live in every day. In today?s blog I want to go back to some of that advice and see how much value still stands in concepts that are so simple. If you keep doing the wrong things it WILL catch up with you ? So many procurement departments have begun and are being run based on practices and principles that are not only not sound but are potentially damaging to the company.? Having weak supervisory controls for buyers, no or poor management of the company?s contracts, and not researching the background of your suppliers are all things that can leave an organization vulnerable.? Like living without auto, home or medical insurance, in time it will catch up with you even if it has been years since anything bad came as a result. Treat people as you expect to be treated ? The procurement space can be brutal.? Suppliers are trying to deliver value and make money; customers are trying to get as much value as possible while controlling costs.? These two things can often create clashes and tension as both sides work to get the things they want out of a business relationship.? The key that comes here is to remember that the same suppliers you are beating up on price will be the same ones you are asking for rush service and special assistance on down the road.? Creating partnerships with the best value and cost is the goal.? Everyone is a supplier and everyone is a customer at some level and applying this simple advice can help forge the greatest value for your company. Plan your work; work your plan -? I have heard this advice over the years from many people I have admired and respected.? It is simple and encompasses everything that best sourcing projects need in two pieces.? 1.? Plan the work (create the project); this involves research and a knowledge of what you are going after that goes beyond a 15 minute Google search.? It means researching the market, indexes, new technologies and trends, new suppliers and new government regulations that may affect your goals.?? Knowing your category allows you to plan the work with measureable milestones teams can follow and be a part of.? 2.? Work the Plan you have created with little exception.? Once you have created the plan for the project, stick to the timelines and employ leverage where you need it to keep projects moving.? Everyone is always going to be overloaded with work, so if you are not the one working your plan every day you will be replaced in our people?s priorities by someone else who is. Don?t spit in the wind and don?t take any wooden nickels -? I will be honest, I still have no frame of reference by which to link these sage pieces of advice back to the world of procurement, but they both still seem like really, really good ideas. We, at SafeSourcing, hope your Father?s Day was full of great memories and happy times!? We enjoy bringing this blog to you every week and hope you find value in it.?? For more information on how we can help you with your procurement needs or on our ?Risk Free? trial program, please contact a SafeSourcing Customer Service Representative.? We have an entire customer services team waiting to assist you today. Manager of the Center of Excellence and Project Manager at SafeSourcing, Inc., Heather Powell had been very active in the American Cancer Society’s Relay for Life. Relay for Life events are a gathering of communities that come together to honor cancer survivors, remember loved ones lost, and fight back against a disease that has already taken too much. The funds raised truly make a difference in the fight against cancer, and typically stay in local American Cancer Society locations. Relay for Life teams camp out overnight and take turns walking or running around a track or path at a local high school, park, or fairground. Events are up to 24 hours long, and because cancer never sleeps, each team is asked to have at least one participant on the track at all times. Heather had been active as the team captain of Team Gabby’s Angels, in honor of her Mother, as Entertainment Chair in 2009, and in 2010 she was the Event Chair Person. From 2008-2012 Team Gabby’s Angels was in the top 5 teams of each year’s event, having raised money for the American Cancer Society. Since 2013, as a caregiver to her mother Heather could not participate in the Relays concentrating on her mother’s health. She recently lost her mother who battled colon cancer for 11 years and her paternal grandfather who lost his 4 year fight of cancer, both died on the same day. So, this Friday June 13th, Heather will again put on her walking shoes and participate in the Springfield/Clark County Ohio Relay for Life. She will walk the Survivor Lap, and participate in the Celebration Ceremony- a Relay event for survivors celebrate what they’ve overcome. Heather is in her 18th year of surviving cancer. She will walk during the dusk Luminary Lap and participate in the Remembrance Ceremony- to remember people lost to the disease, and honor people who have fought or are fighting cancer. The path is illuminated with paper luminaries with Names to remember or honor loved one. Heather will participate in the Fight Back Laps and participate in the Fight Back Ceremony- inspires Relay participants to take action against a disease that has taken too much. This year Heather will walk with and for her family with no team or fundraising, however next year she will again form Gabby’s Angels and with family, friends, and co-workers pick up the spirit and fight against all types of cancers! 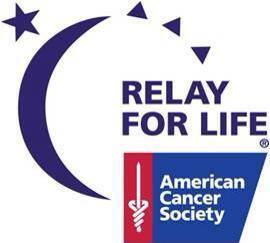 Manager of the Center of Excellence and Project Manager at SafeSourcing, Inc., Heather Powell had been very active in the American Cancer Society?s Relay for Life.? Relay for Life events are a gathering of communities that come together to honor cancer survivors, remember loved ones lost, and fight back against a disease that has already taken too much. The funds raised truly make a difference in the fight against cancer, and typically stay in local American Cancer Society locations. Relay for Life teams camp out overnight and take turns walking or running around a track or path at a local high school, park, or fairground. Events are up to 24 hours long, and because cancer never sleeps, each team is asked to have at least one participant on the track at all times. Heather had been active as the team captain of Team Gabby?s Angels, in honor of her Mother, as Entertainment Chair in 2009, and in 2010 she was the Event Chair Person.? From 2008-2012 Team Gabby?s Angels was in the top 5 teams of each year?s event, having raised money for the American Cancer Society. Since 2013, as a caregiver to her mother Heather could not participate in the Relays concentrating on her mother?s health.? She recently lost her mother who battled colon cancer for 11 years and her paternal grandfather who lost his 4 year fight of cancer, both died on the same day.? So, this Friday June 13th, Heather will again put on her walking shoes and participate in the Springfield/Clark County Ohio Relay for Life. She will walk the Survivor Lap, and participate in the Celebration Ceremony- a Relay event for survivors celebrate what they’ve overcome. Heather is in her 18th year of surviving cancer. She will walk during the dusk Luminary Lap and participate in the Remembrance Ceremony- to remember people lost to the disease, and honor people who have fought or are fighting cancer. The path is illuminated with paper luminaries with Names to remember or honor loved one.? Heather will participate in the Fight Back Laps and participate in the Fight Back Ceremony-?? inspires Relay participants to take action against a disease that has taken too much. This year Heather will walk with and for her family with no team or fundraising, however next year she will again form Gabby?s Angels and with family, friends, and co-workers pick up the spirit and fight against all types of cancers!